Merlin is the global digital rights agency for the world’s independent label sector. The organisation’s members command in excess of 12% of the digital recorded music market and embody more than 20,000 independent record labels and distributors from 55 countries and all continents. These include Beggars Group, Secretly Group, Domino, Sub Pop, Epitaph, Anti Records, Entertainment One, Redeye Worldwide, !K7, Kobalt Music Recordings, [PIAS], Merge, Warp, INgrooves, Hopeless Records, Armada Music, Mad Decent, Ninja Tune, Eleven Seven Music, Naxos and Curb Records, representing some of the world’s most important and successful artists. Merlin acts to ensure these companies have effective access to new and emerging revenue streams and that their rights are appropriately valued and protected. 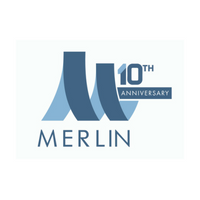 Since commencing operations in May 2008, Merlin has licensed key digital services and has reached a number of high-value copyright infringement settlements on behalf of its members. Merlin has won ‘Independent Champion’ at the A2IM Libera Awards three times - in 2015, 2016 and 2018.